Checkout these amazing miracle testimonies from 11/15 & 11/16/2014. 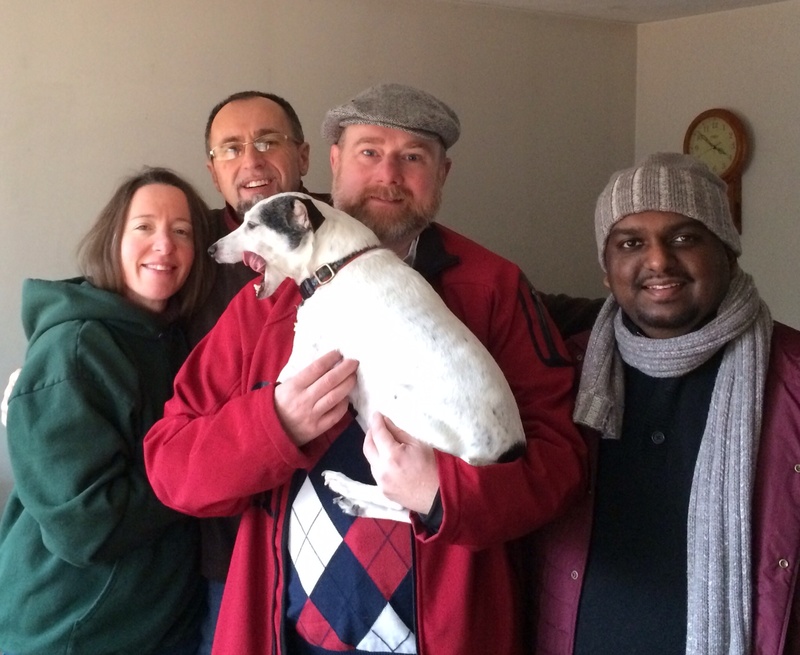 Eric Wilding came to visit us to hit the streets of NH & MA with our usual weekend healing team. In scripture, Jesus told us to say “The Kingdom of heaven is near”…..that statement was indeed very true this weekend! What a privilege and honor to minister with our friends Eric and Joseph….God is so good! Just before heading to Boston for ministry! 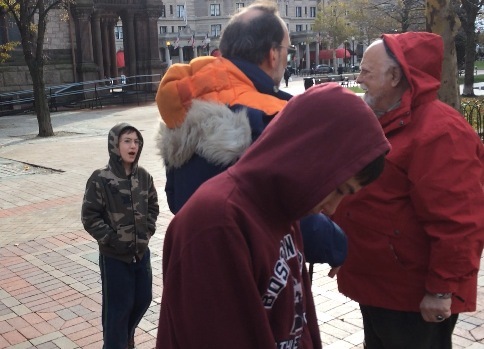 We went to a parking lot in Manchester, NH, where some believers have a ministry to feed hundreds of people each week who are struggling to make ends meet and/or are living on the street. While there, we met a lady who had a withered arm. It was an amazing Jesus moment. Over a decade and a half ago, she had an injection and surgery in her right arm. Something went terribly wrong which caused damage to the muscles and nerves. Her arm has been paralyzed all this time. She had no use of or feeling in her hand and could only slightly move her arm from her side. Scott and I blessed her and commanded her arm to come back to life in Jesus’ name. She started to gain feeling in the arm and then in the hand. She felt tingling and heat. She then was able to rotate her arm and move her fingers. She kept remarking how strange and incredible this was. We spent about ten minutes with her, holding her hand and arm and blessing her. She was able to move her arm to shoulder height and move her fingers. We were in awe of what Jesus did for this woman. She was overjoyed, now she could pick up her three year old grand daughter. We saw many other people getting healed at the food bank in the parking lot. One mother told me of the multiple conditions that she had, including a hole in her back so that she could not bend over. She was set free from all of the conditions. Another single mother, tried to ignore our question whether she had any pain, but her six year old daughter told on her, “Tell them about your back, mommy!” She then told us that she had been in a car accident and has been in pain for three years. She decided to let us bless her in Jesus’ name. After two blessings, she said the pain was still the same. But then something shifted the third time. Then with each blessing the pain decreased (7 to 0). She was able to bend over and walk without any pain. We also saw some Muslim youths healed and feel the presence of God and get very happy with the gospel that God loves them and accepts them as He accepts His son Jesus. Later the group who had been praying for people, including two pre-teen boys who had seen multiple healings in the parking lot, went to Five Guys for burgers. There we saw more people healed. One college student named John had a short leg which grew out and then he told us that he also had a one smaller foot than the other. He was surprised as he felt his foot moving and fill out the shoe. We went on to a poorer area of Manchester and prayed for some people on the streets. 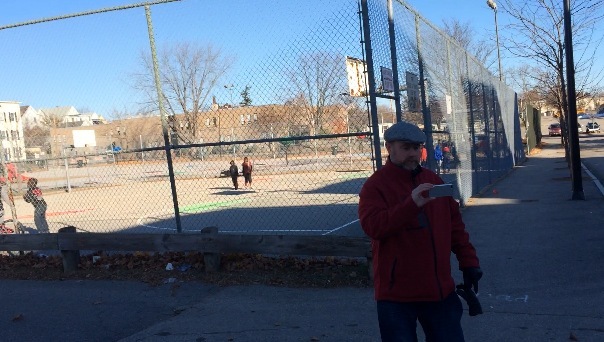 There is video to follow about a group of preteens on a basketball court who got healed and one young boy who hunted us down later–the video is amazing. His whole countenance changed while we loved on him. Glory! In the evening, we had a meeting at His Way Church in Haverhill, Massachusetts. it was a wonderful evening of hugs in Abba’s arms and ecstatic bliss! We broke into small groups to bless people. One lady had a severely cut hand. She felt the pain decrease by half and regain further motion in the hand and the scaring decreased as well. 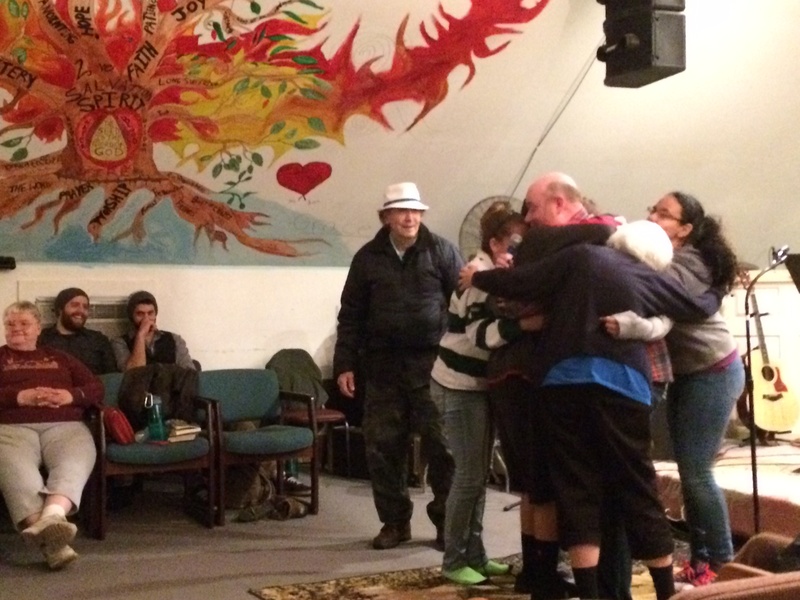 We saw other people getting touched and healed, a couple with chronic back pain were set free. There were people getting visions and prophetic downloads all over the place. This is a free and amazing church–if you are in the area, give it a visit! The next day, we drove to Boston and loved on people in the subway and on the streets. We met two men on the subway who were coming from an AA meeting and were believers. One man, Al, got touched by Holy Spirit and started speaking in tongues for the first time. 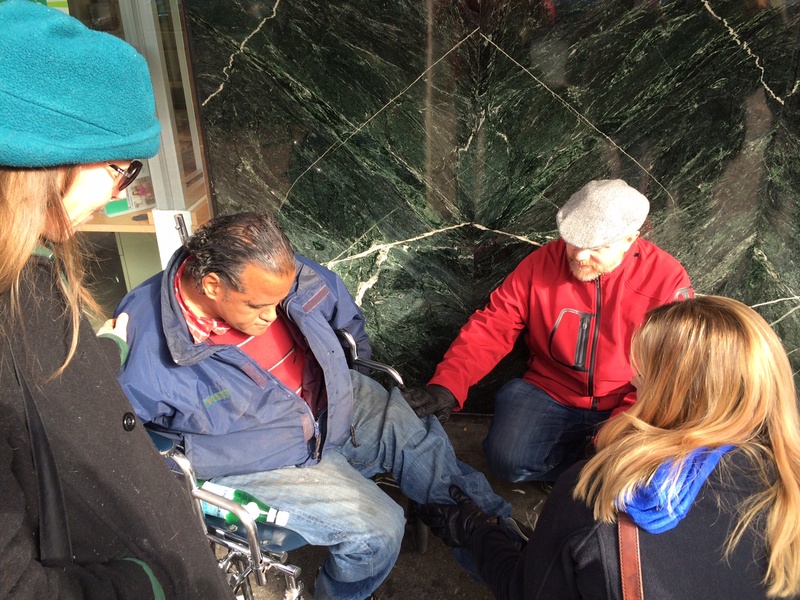 On the streets, we prayed for a man, William, in a wheel chair. He gave his life to Jesus while we were with him and blessing him/ We saw him a few times over the next hour. Each time we saw him, he kept saying that he was getting more feeling in his foot. His countenance also completely changed from the time we first met him. 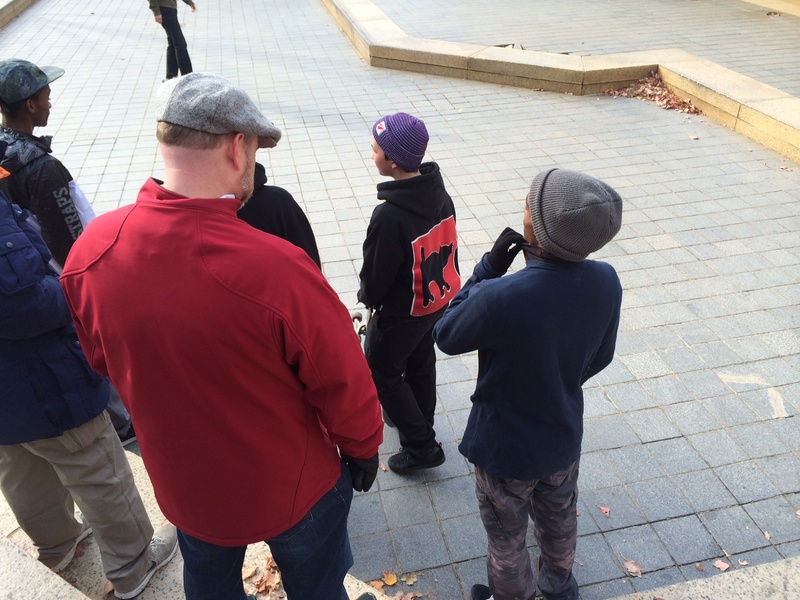 We saw some young people skateboarding and talked with a few of them. One young man accepted Jesus as Lord of his life. One older man with a cane was prayed for by Scott and the group and was healed. A couple of men in the subway felt the presence of the Lord and gave their lives to him. At the end of the subway line, we blessed a few more people. One young lady had a torn ACL in her knee from a basketball injury. there is video to follow of this as well. It was an amazing weekend of fellowship, love, prophetic words, visions, miracles, healings, bliss and glory. There was so much more that happened than what I have recorded here from my observations and conversations with people. Thanks so much for Laury and Scott Levesque for inviting, hosting and loving us. Thanks to His Way Church and to the brothers and sisters who went on the streets with us. It is wonderful to see the love of Abba, Jesus and Holy Spirit flowing through believers and touching and transforming lives. Glory and praise to the Holy Blessed Trinity!